How to keep your Porcelain Veneers in Good Condition? Porcelain veneers have quickly become a popular way to replace teeth that are unable to be fixed in the traditional sense. They look like natural teeth and should be cared for in the same way. They can be damaged and fixed much in the same way natural teeth are as well. Taking care of porcelain veneers may be confusing at first. When investing in a new smile, it’s always good to ensure you know how to keep it looking fresh. 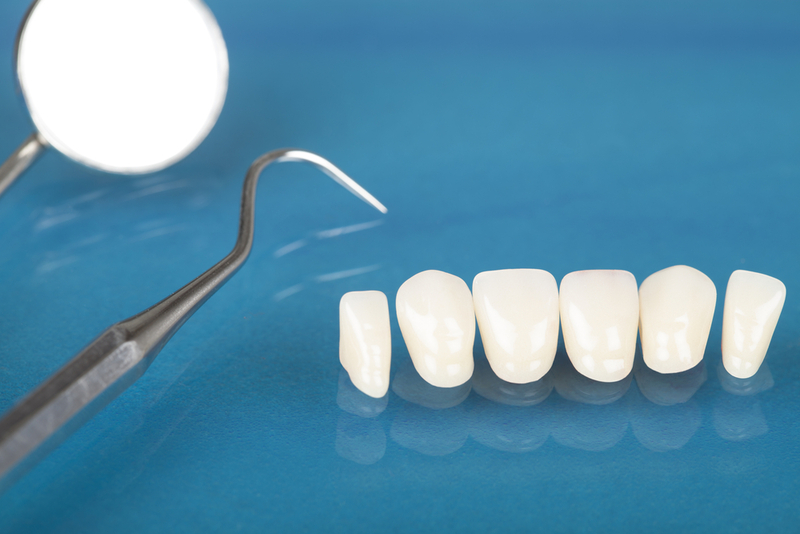 Here are a few ways to keep your porcelain veneers in good condition. Much like natural teeth, porcelain veneers can get stained and off color. When getting veneers, your dental professional will match the veneer to the current color of your teeth. This allows it to blend in flawlessly and look natural. Using whitening toothpaste will not only keep your veneers from getting stained but, it will also keep your other teeth look whiter. Be sure to stay away from the more abrasive forms of whitening toothpaste. Go about your normal routine as you would with natural teeth. Veneers need to be flossed, brushed, and rinsed like normal teeth. Even with veneers, gum disease and poor oral health can result if they’re not taken care of. The color of the veneer can change as the tooth underneath decays. Veneers aren’t capable of decay however, they’re affected by the tooth underneath if not taken care of. It’s important to note that you want to be careful when doing things such as flossing, eating nuts or other crunchy foods, etc. Just as your natural teeth are susceptible to breaking, cracking, chipping, etc. so are porcelain veneers. If you want them to remain in tip top shape, treat them with care and they will last longer. With our natural teeth, items such as tobacco and alcohol can cause staining and damage. Not to mention, they all cause bad breath as well. Porcelain veneers will stain and weaken when these types of items are used. Veneers have to be replaced when it becomes broken, overly stained, etc. Therefore, it’s possible to replace it however, remember, it will be matched to your other teeth and will cost. In other words, take care of your teeth in general and your porcelain veneer will remain in great shape and you won’t have to pay for them to be replaced. If you keep in mind that porcelain veneers were created as a more natural way to replace teeth, then it’s easier to remember they need to be treated just like natural teeth. If you want a winning smile, simply keep up a great oral health routine and both your natural teeth and porcelain veneers will thank you.